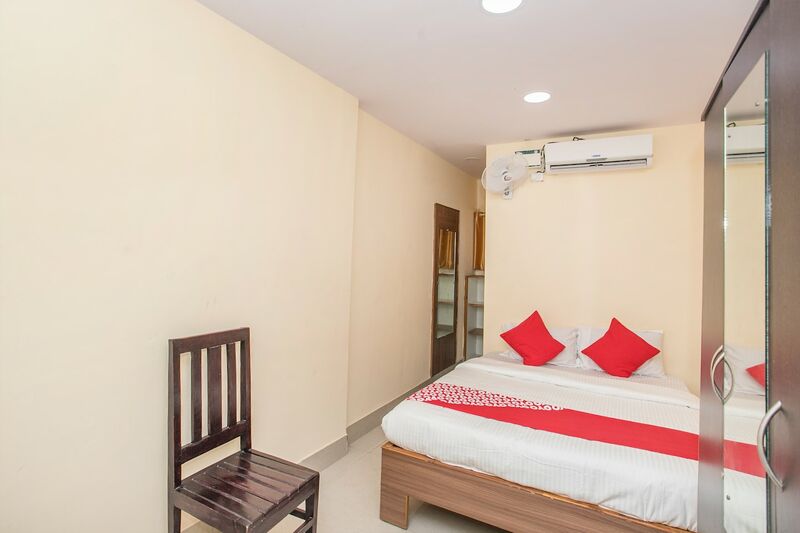 Om Sai Residency is a comfortable and warm stay for pocket-friendly travelers. The hotel stands out in the locality with glass exteriors. With sober and warm interiors, the hotel is a pleasure to stay at with homely vibes. The spacious rooms are comfortable and have home-like warmth. The well-furnished space with simple light colored walls stands out with warm lighting. Guests can avail various facilities like free Wi-Fi, card payment and parking facility. Various hangout spots and eateries are in close proximity of the hotel. The famous tourist spots like Iskcon Bangalore, Bangalore Palace, and National Gallery Of modern Art are near the hotel.